Below is the Executive Summary from Inclusive Development International (IDI)'s report "Making Inroads: Chinese Infrastructure Investment in ASEAN and Beyond"
Over the past decade, China has risen to become a major actor in global investment and finance. This has been made possible due to strong backing from the Chinese state and financing from its policy and commercial banks. China’s role in global finance has been boosted by a number of major recent developments, the most high-profile being the establishment of the multilateral Asian Infrastructure Investment Bank (AIIB). China has also established various investment funds in recent years, such as the Silk Road Fund, and has injected additional capital into its policy banks specifically to support overseas operations. In addition, through the One Belt One Road initiative, announced in 2013, the Chinese government has renewed its support for outbound investment. These new institutions and initiatives focus heavily on infrastructure development. Given Southeast Asia’s economic and strategic importance to China, and its geographical proximity, the region features strongly in China’s plans for expanding overseas infrastructure financing. The establishment of the AIIB represents the biggest shake-up of global multilateral development finance for decades. As of mid-2016, 57 countries have signed on as prospective founding members. The AIIB’s initial authorized capital is US$100 billion. China holds the largest number of shares, roughly 30%, and controls over 26% of the voting share. The bank will focus on financing infrastructure and “other productive sectors” in Asia, with the aim of fostering sustainable economic development, creating wealth and improving infrastructure connectivity in Asia. The bank announced its first batch of projects in April and May 2016. The bank’s management is likely to have much greater authority to approve projects than those at international financial institutions such as the World Bank or Asian Development Bank, whose boards provide oversight of such decisions. The bank’s president, Jin Liqun, has stressed the AIIB’s commitment to being “clean” and has committed to developing a strong institutional culture based on ethical standards, with zero tolerance for corruption. In 2015, the AIIB organized consultations with public and private institutions on the development of its environmental and social framework, although civil society groups were critical of this brief process. The bank adopted the framework in 2016 along with an interim public information policy, corporate procurement policy and code of conduct. The environmental and social framework was developed by a team including former World Bank safeguards specialists and draws on the standards of the World Bank and the Asian Development Bank. In early 2016, the bank adopted the framework, which commits it to pursuing sustainable projects, protecting the vulnerable and ensuring stakeholder engagement. However, the framework contains a number of shortcomings and gaps, and the standards on resettlement and indigenous people both fall below best practice and international human rights standards. China has been eager to emphasize that the AIIB will complement the work of existing multilateral financial institutions rather than act as a competitor. In 2016, the AIIB signed cooperation agreements with the World Bank, Asian Development Bank, European Investment Bank, and the European Bank for Reconstruction and Development, and various other institutions have indicated that they are willing to work with the bank in the future. Importantly, in cases where the AIIB co-finances projects with the World Bank, Asian Development Bank and similar institutions, the social and environmental standards or safeguard polices of those institutions are likely to apply. Co-financing with the World Bank or the Asian Development Bank is also likely to mean that if people are harmed by a project, they can file a complaint to the accountability mechanisms of these established institutions. A major initiative that has emerged from China in recent years is the One Belt One Road initiative. Announced in 2013, the initiative seeks to increase interconnectivity between China and Asia, the Middle East, Africa and Europe through the development of transport, energy, trade and communications infrastructure. One Belt One Road promotes investment and cooperation in multiple areas, including agriculture, forestry and fisheries, and energy. Rather than being a concrete plan or single financing facility, One Belt One Road sets out an overall vision for China’s investment in the coming years. The Chinese government has stated that more than 60 countries are involved in the initiative. Projects within One Belt One Road will require billions of dollars in the coming years. Financing will come from a number of sources, many of which are not new. For example, China’s policy banks, including the China Development Bank, have been financing projects within what is now the One Belt One Road route for over a decade. China’s commercial banks are also active in many countries along the route, as are Chinese equity funds and investment companies. Several of these entities have established new funds and received additional state funding specifically to support One Belt One Road projects, and the AIIB is likely to finance projects within the initiative’s route. Another important source of financing for China’s overseas investment are state-backed investment funds. Two such investment funds operating within the Association of Southeast Asian Nations (ASEAN) region are the China-ASEAN Infrastructure Investment Fund and the newly established Silk Road Fund, both of which have plans to expand operations in the coming years. The US$40 billion Silk Road Fund was established in 2014, with the objective of promoting “common development and prosperity of China and other countries and regions involved in the Belt and Road Initiative.” The fund emphasizes investments in major infrastructure projects and connectivity. The Silk Road Fund states that it strives to promote environmentally friendly and sustainable development, and “respects international standards and norms, and follows the laws and regulations of China and the host countries.” However, it is unclear what, if any, systems are in place regarding social and environmental impact assessments and mitigation in projects that it invests in. The China-ASEAN Investment Cooperation Fund was established in 2013 and targets investments in infrastructure, energy and natural resources in ASEAN countries. It was established with an initial US$1 billion but has a target of US$10 billion. The China Export-Import Bank (Eximbank) led the formation of the fund and was the main sponsor, contributing US$300 million of its starting capital. The World Bank’s International Finance Corporation holds equity in the fund and contributed US$100 million, or 10% of its phase one funding. During this first phase, the fund invested in 11 projects, including telecoms, mining, transport and energy. China aims to raise US$3 billion for the fund’s second phase. 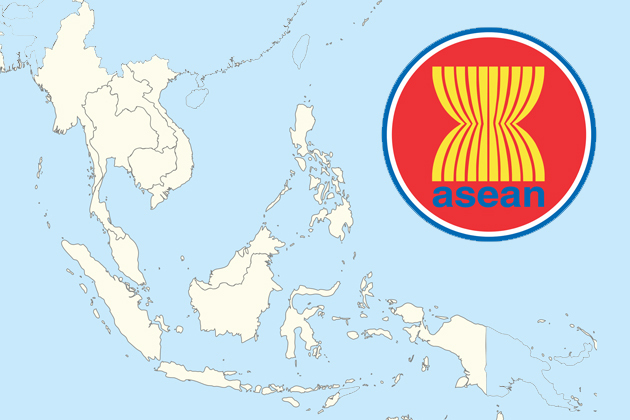 The China-ASEAN Investment Cooperation Fund states that it “specializes in sustainable investments that not only bring financial growth to the investee company but also significant values to the community.” In July 2014, the fund issued its Social Responsibility and Environmental Protection Guidelines for Investments in the ASEAN Region, which adopts the International Finance Corporation’s Performance Standards. All companies and projects that receive investment from the fund are required to apply the guidelines. The adoption and publication of the fund’s guidelines represent a step forward in social and environmental governance that no other Chinese-led funds have taken to date. Although the fund has not established a complaints mechanism, the International Finance Corporation’s 10% stake means complaints may be submitted to its accountability mechanism, the Compliance Advisor Ombudsman, although this has not happened to date. This paper for the most part examines recent and ongoing developments in Chinese outbound infrastructure finance. However, China’s policy banks have been operating overseas for more than a decade in support of the Going Out strategy. Through this strategy, the Chinese state has promoted Chinese companies to expand overseas, utilizing surplus foreign exchange in order to increase access to global markets, natural resources and technology. The China Development Bank and the China Eximbank in particular have been major drivers of this strategy, investing billions of dollars overseas. Since the announcement of the One Belt One Road initiative, the Chinese government has injected significant amounts of additional capital into both banks. Both the China Development Bank and China Eximbank have environmental and social standards. The China Development Bank’s policies have never been published, but China Eximbank has released a basic environmental assessment policy, which applies to domestic and overseas projects. Both banks have the power to issue warnings to clients that do not appropriately manage environmental and social risks in their projects. However, neither bank publishes detailed project information, and assessments are not conducted in an open and transparent way. There are also no formal avenues through which affected people can make complaints. This lack of transparency greatly limits the effectiveness of the social and environmental policies that are currently in place at both banks. Asia faces a significant shortfall in funding for infrastructure projects. Most ASEAN governments are clearly eager to attract investment in large-scale infrastructure projects, especially in transport, energy and other projects that facilitate interconnectivity. The AIIB and other initiatives discussed here can contribute to addressing this need. It remains to be seen if the AIIB will take on projects deemed too high-risk by other international financial institutions. The fact that most of the AIIB’s initial projects will be co-financed may reduce this risk, at least in the short term. However, the One Belt One Road initiative is already connected to a number of high-risk mega-projects and various fossil fuel investments in Asia. Since the formation of the AIIB was announced, there has been much discussion about it becoming a rival to the established development finance order. However, it will take time for the AIIB to establish itself and build momentum. Existing international financial institutions have publicly welcomed the AIIB and will co-finance several of its early projects. This provides opportunities for the AIIB to learn from their safeguards and accountability systems. It also represents a potential entry point for civil society groups in the ASEAN region and beyond to engage the AIIB through existing channels and communication networks. The China-ASEAN Investment Cooperation Fund has adopted policies based on the International Finance Corporation’s Performance Standards, and the AIIB has adopted its Environmental and Social Framework, with a grievance mechanism currently under development. However, the social and environmental safeguards of Chinese financiers are generally basic and not open to public view and scrutiny. None of the bilateral financiers discussed in this paper publish extensive project documentation, and none have grievance or accountability mechanisms in place. Given this context, and the fact that the AIIB’s safeguard mechanisms remain untested, any increase in infrastructure lending in the region will require close monitoring. China already plays a major role in the development of transport, energy and telecommunications infrastructure in Southeast Asia. China is the top investor in Cambodia, Laos and Myanmar, while investment in Vietnam, Thailand, Malaysia and Indonesia is also significant and increasing. All 10 ASEAN nations signed on as members of the AIIB, and the region also lies within the One Belt One Road initiative. This increased access to infrastructure financing is likely to have significant impact across the ASEAN region. The institutions and initiatives discussed here could potentially prompt a massive influx of capital into the region, supporting a more rapid roll-out of regional infrastructure investment plans, and contributing to enhanced connectivity between China and ASEAN as well as among ASEAN member states. At the same time, without adequate transparency, safeguards and oversight, the benefits may be diminished by adverse impacts on people and the environment. Civil society groups can play an important role in monitoring and engaging with these new developments. This is not an easy task, but by developing a deeper understanding of these institutions and initiatives, monitoring their development and activities, and raising public awareness, civil society groups in the region will be better placed to push for more robust social and environmental standards and for increased accountability and protections for the communities and ecosystems that they impact upon. AIIB (2015), Articles of Agreement, article 1. Donnan, S. & Sevastopulo, D. (2015, 25 October), AIIB head vows to be clean, lean and green — and fast, Financial Times. http://www.ft.com/cms/s/0/b6f95846-7b0d-11e5-a1fe-567b37f80b64.html (accessed May 2016). 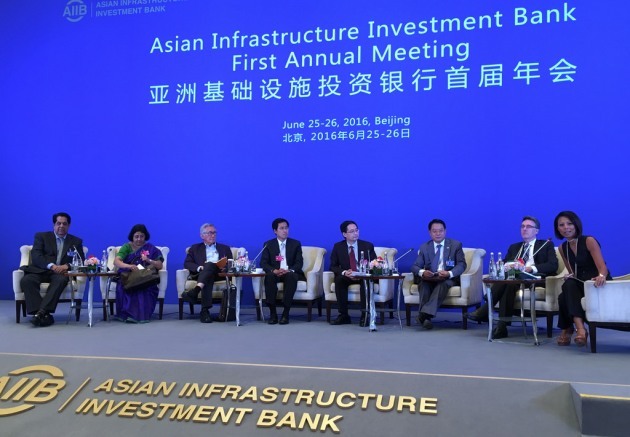 AIIB (2015, 26 August), Statement by Jin Liqun at a Press Conference in Tbilisi. http://www.aiib.org/html/2015/NEWS_0826/16.html (accessed May 2016). National Development and Reform Commission, Ministry of Foreign Affairs & Ministry of Commerce of the People's Republic of China (2015), Vision and Actions on Jointly Building Silk Road Economic Belt and 21st-Century Maritime Silk Road. http://en.ndrc.gov.cn/newsrelease/201503/t20150330_669367.html (accessed May 2016). Silk Road Fund (2015), About Us. http://www.silkroadfund.com.cn/enweb/23775/23767/index.html (accessed May 2016). Silk Road Fund (2015), Scope of Investment Principles. http://www.silkroadfund.com.cn/enweb/23798/23805/index.html (accessed May 2016). China-ASEAN Investment Cooperation Fund, About CAF: Mission & Vision. http://www.china-asean-fund.com/about-caf.php?slider1=1 (accessed May 2016). International Finance Corporation (2010, 25 January), China-ASEAN Fund on Investment Cooperation: Summary of Proposed Investment. http://ifcext.ifc.org/ifcext/spiwebsite1.nsf/0/EA30D66D3BCEE0F9852576BA000E3309 (accessed May 2016). Li, K. (2015, 13 November), Remarks by H.E. Li Keqiang Premier of the State Council of the People's Republic of China At the 17th ASEAN-China Summit, Ministry of Foreign Affairs of the People’s Republic of China. http://www.fmprc.gov.cn/mfa_eng/zxxx_662805/t1212266.shtml (accessed November 2015). China-ASEAN Investment Cooperation Fund, About CAF: Background. http://www.china-asean-fund.com/about-caf.php?slider1=2 (accessed November 2015).